For over three decades, Suzy has competed around the globe as bowman, helm, tactician, and navigator. Racing boats from 12 to 160 feet, she has won over 30 International regattas, in 15 separate classes, and is a World Champion in three of them. One of her favorite expereinces was serving as "bowchick" for the 1995 America's Cup Women's Team. Professionally, Suzy is an Aerospace Engineer who started her career developing data systems for NASA's International Space Station. She currently develops database-driven websites, and has conducted remote expeditions for National Geographic, UNESCO and ESPN. 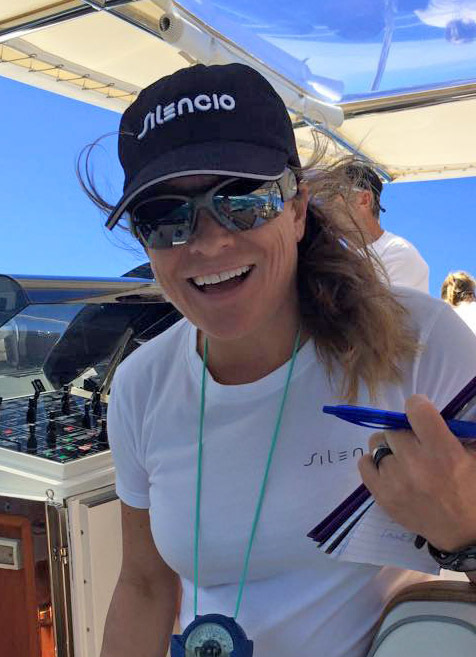 She has parlayed her experience in sailing to work both in-front of and behind the video camera — commentating, producing & filming on-board for ESPN, as well as sharing her message as a motivational speaker. Suzy also gives back to the community as Chairman and member of numerous US Sailing and other Committees. She currently serves on the New York Yacht Club Membership Committee, Oakcliff Sailing's Board of Directors (Publicity Chair), and the Conanicut Island Sailing Foundation's Board.